Do I Need A Lawyer For Food Poisoning? Food poisoning, or foodborne illness, is illness caused by eating contaminated food. Contaminants affecting food can range from bacteria and parasites to things like mold and mice. But because food poisoning is not an unusual ailment, you may not think to consult an attorney about your illness. However, if the contamination is caused by the negligence of a restaurant, food processor, or grocery store, you may have a valid claim against them. The most common causes of food poisoning are bacteria, viruses, and parasites, which can contaminate food at any stage in the production process. These kinds of contaminants can cause a wide range of illnesses. Some illnesses result in severe abdominal pain and can occur almost immediately after ingesting contaminated food. Other illnesses, such as hepatitis A, can occur up to four or five weeks after ingesting the contaminated food. In most cases, individuals will fully recover from food poisoning, but certain types of foodborne illnesses can result in serious long-term effects, and even death. While less common, other forms of contamination do occur. Foreign objects found in food, such as dead mice or bugs, can also give rise to a negligence claim against food processors or grocery stores. While the risks of food poisoning can be high, they can be avoided by following safe food handling procedures. The U.S. Food and Drug Administration (FDA) issues regulations on food safety. These regulations have the force of law and must be followed. Additionally, the FDA publishes guidelines on proper food safety to help restaurants, food processors and individuals ensure they are safely handling food. A few basic food safety practices are outlined below. Keep food, utensils, and your hands clean. Bacteria on hands, utensils, and food itself can cause foodborne illness. All produce should be washed before preparing it, and workspaces and utensils should be cleaned after each use. Separate foods to avoid cross-contamination. Cross-contamination is the transfer of harmful bacteria to food from other foods, cutting boards, utensils, etc., if they are not handled properly. Raw meat, poultry, seafood, and eggs can contaminate other foods, such as produce. To avoid cross-contamination, different utensils, cutting boards, and storage space should be used for these foods. Cook food to safe internal temperatures. Cooking food thoroughly will eliminate most illness-causing bacteria. A food thermometer is used to ensure meat is cooked to the proper temperature. Always refrigerate food promptly. Refrigerating perishable food within two hours of its preparation can minimize the risk of bacteria growth. When grocery stores, restaurants or food processors deviate from proper food safety procedures, the risk of contamination and food poisoning increases. If you observe any improper food handling, and subsequently suffer from food poisoning, it may be a result of the establishment’s negligence. If you or a loved one has suffered from a foodborne illness, you may have a valid negligence claim. The attorneys at Allen and Allen have experience with food poisoning cases, and can help you receive full and fair compensation for your injuries. 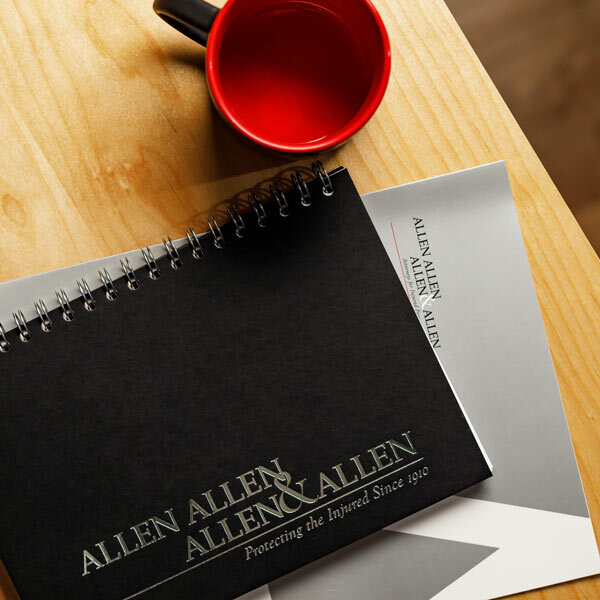 For a free consultation, visit Allen & Allen or call 1-866-388-1307.